Amazon follows Apple's lead and decides against Google Maps for upcoming Kindle Fire revision. Apple’s decision to ditch Google Maps in favor of its own mapping technology in iOS 6 wasn’t much a surprise. However, Amazon’s decision to reject Google Maps in its second generation Kindle Fire tablet is a bit of surprise – particularly since the Kindle Fire is an Android device. Unlike Apple, Amazon isn’t developing its own mapping systems. Instead, the new Kindle Fire will rely on mapping functionality from Nokia. 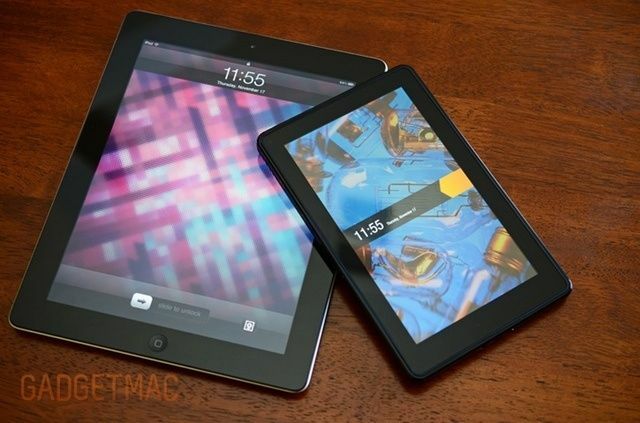 Unlike the original Kindle Fire, which had no innate location services or maps app, the new version will sport location-based services, though whether they will be based integrated GPS or solely on Wi-Fi triangulation (like the Wi-Fi only iPad models and the iPod touch) is still an unanswered question. The news comes from Reuters, which also reiterates that Amazon has complete sold out of first generation Kindle Fires ahead of next week’s event where the company is expected to launch the new model. Although Kindle Fire sales fell of quickly following the device’s extreme success during last year’s holiday buying season, Amazon still controls a notable portion of the tablet space. Although the Kindle Fire is based on Android, Amazon went to great lengths to create its own user experience and to tie its tablet into its own electronic content stores for music, videos, ebooks, and apps. Nokia remains the of the world’s largest mapping and navigation companies despite challenges that caused the company to abandon its own smartphone platforms in favor of Microsoft’s Windows Phone platform. The partnership with Amazon could benefit both companies. In addition to an upgraded Kindle Fire with the same 7-inch form factor, reports have circulated that the Amazon will also announce a larger model intended to compete directly with the iPad. Of course, Apple is also expected to announce an iPad mini designed to compete with the 7-inch Kindle Fire and Google Nexus tablet.